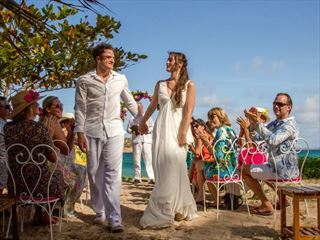 Home to some of the most beautiful scenery and exciting scuba diving in the Caribbean, getting married in the Grenadines offers you the opportunity to celebrate your union in a truly unique location. The surrounding waters of the Grenadines boast an abundance of marine life for you to witness first hand on a diving excursion, including sea horses, green turtles, dolphins and manta rays. Alternatively, why not take a tranquil sailing tour through the calm waters, giving you the chance to explore the natural wonders of this beautiful area? If you have a passion for the outdoors, you could also try your hand at one of the many watersports offered in the area, or else hike the luscious terrain of the islands themselves. 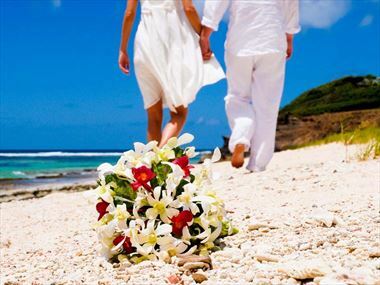 Call the one of our wedding experts at Tropical Sky today to find out how we can help you plan your perfect wedding. 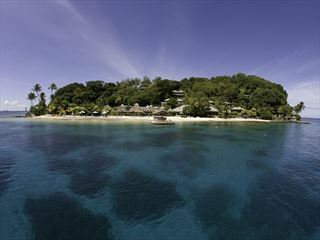 Why book your Grenadines Wedding with Tropical Sky?